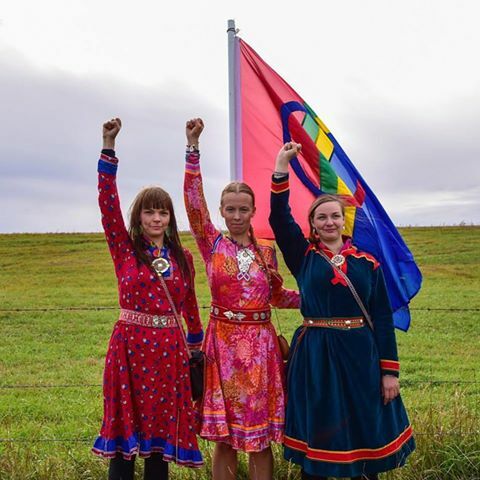 A group of three indigenous Sami people from Scandinavia arrived at the camp. The women sat on their knees, and their bright crimson and blue skirts flowed in front of them. They offered Standing Rock’s chairman gifts, including reindeer hide and a traditional cup carved from birch. Onlookers stood silent as they cried out a yoik, a traditional song that combines deep guttural sounds with strikingly high notes. 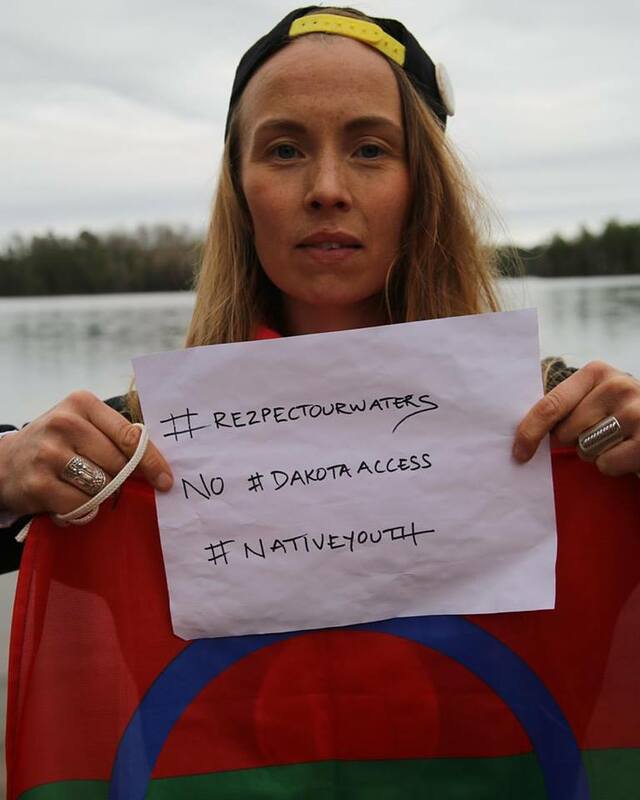 Sofia Jannok, a Swedish singer, told how her people combat mining and struggle to maintain natural habitats for reindeer, which many rely upon for food, fur and livelihood. The Sami ancestral area spans parts of Norway, Sweden, Finland and Russia. 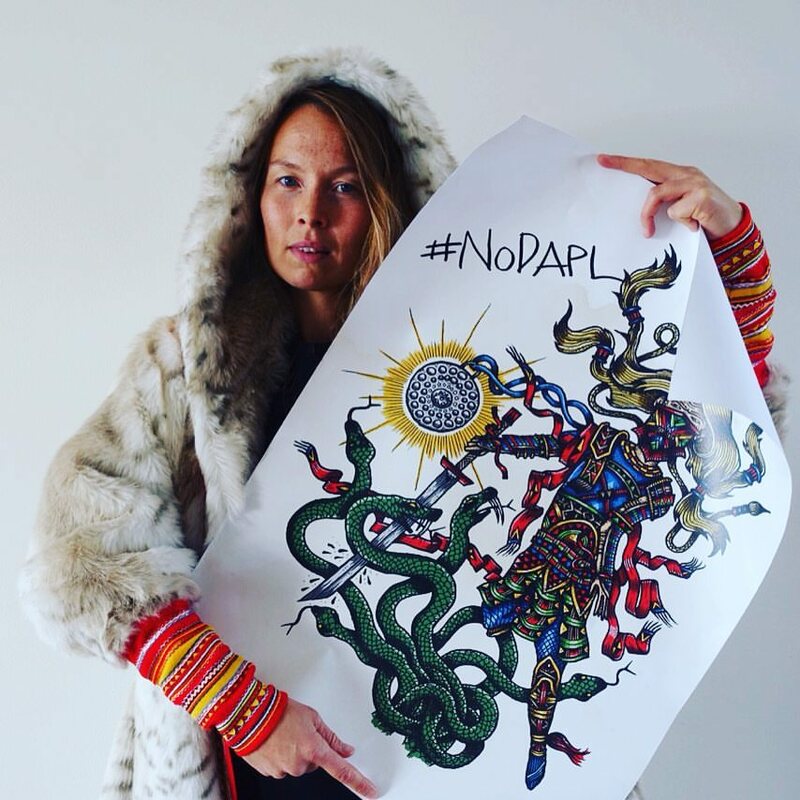 "Looking back at an amazing journey I can't feel nothing but true strength from what I've seen among people like you and me, all in different ways trying to survive as who they are and live with the strong connection to the surrounding land and waters, families and ancestoral traditions. This Standing Rocks represents to me. Stand like a rock for future and past, as life is happening in the present." "Make sure this earth is a safe place for next generations. Besides at camp, the souls who stand up for their children and future I also met in fathers, in mothers, in homes, at schools, in individuals, at concerts around the places I visited. Each and everyone doing their very best for a better future, with prayers and healing, teachings and patience, and most important - keeping on breathing. That is the most revolutionary thing we do: breathe. 'Cause that is what the system wants us to stop doing. So be resilient, in what way is best for you always keep the breathing up and by that make sure the next generations are safe. Water is life! You are life! Cáhci ealiha visot" said Sami girl. 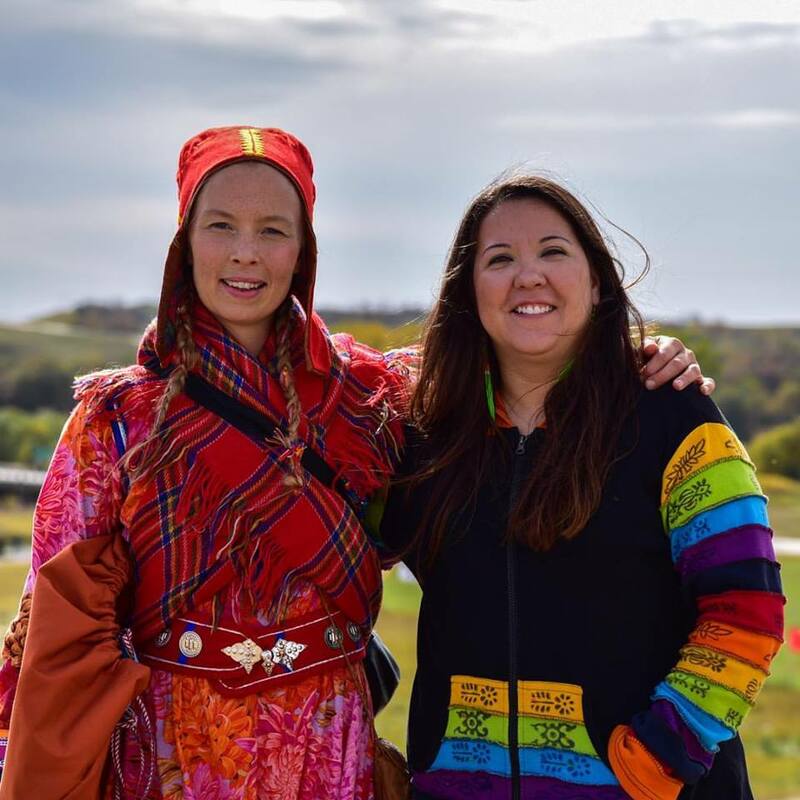 Responses to "Sami Indigenous Travel to Stand with Standing Rock Sioux Tribe"
It is in the Prophecies that people will gather from Four Corners of Earth, all Nations! My Elder heart swells with pride and honoring for All My Relations! It is prophecies coming to pass and not only for the indigenous tribes but all people from every nation . I am from the Scottish clans and mixed with people from viking/ norweign/ wales/ island descendants . As you honor your nation I honor mine ..and we stand with you as we all are from the same creator we are all humans and children of the Earth . Our bloodlines are the same . I find myself speechless at seeing this awesome movement of the world finally coming together to save the only thing that keeps us human . Our world . If it is gone we have nothing left to live for . We want our children to continue on ..its the human condition to survive . I send prayers and spirit to stand with you . Blessings be upon all . 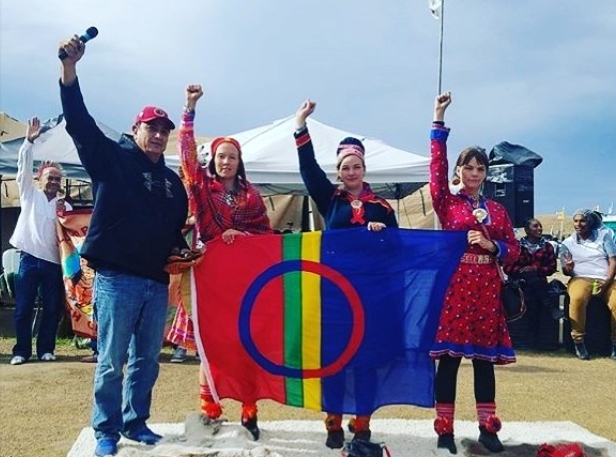 How closely we are related, I have Sami blood great grandmother, I was beyond touched seeing this. I´m from Iceland and I follow your fight and make sure to post news as much as I can.